The Promotional Gildan Adult Heavy Cotton T-Shirt features preshrunk pure cotton jersey construction and allows adding brand logo and other details for Brand Recognition. 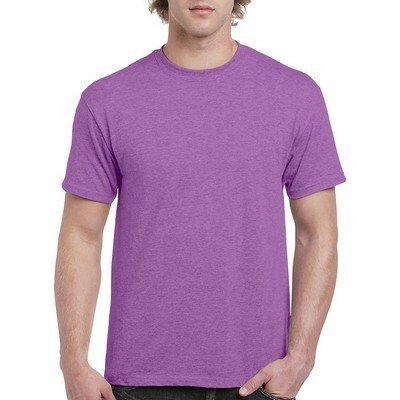 Boost your promotional endeavors with a classic T-shirt that is a staple for daily wardrobe! 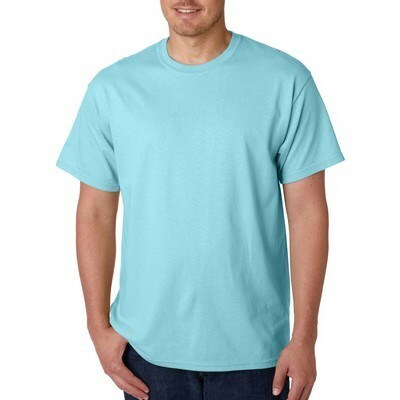 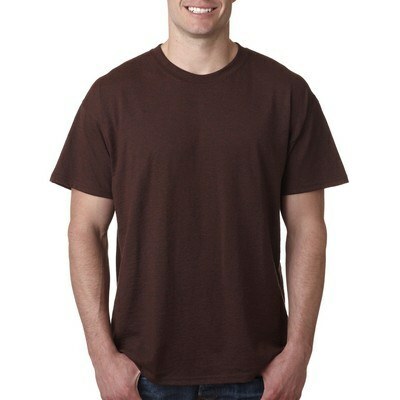 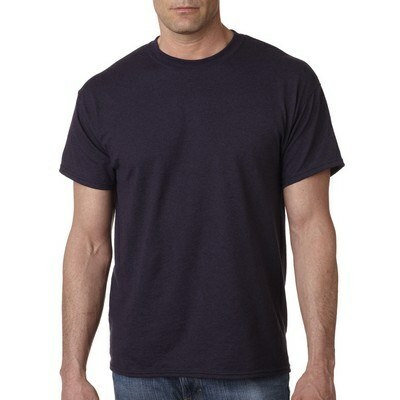 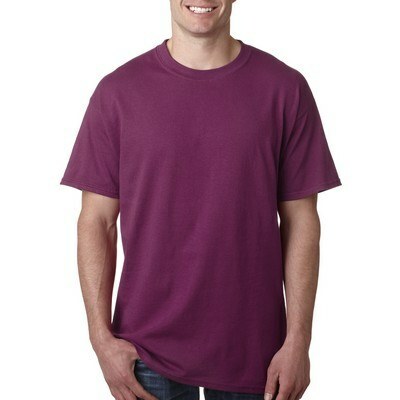 Our Promotional Gildan Adult Heavy Cotton T-Shirt is made out of 5.3 oz., preshrunk 100% cotton blend material. It features double-needle stitching on neckline and bottom hem, a seamless collar and shoulder-to-shoulder taping for a comfortable, nice fit. 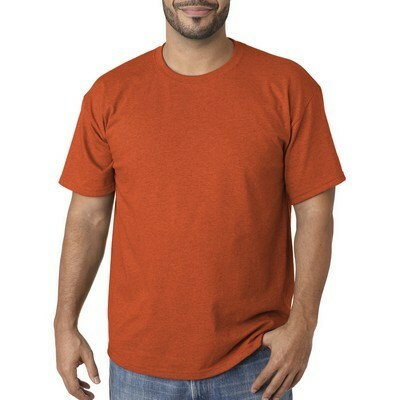 Ideal for wearing alone in hot days or for layering in cool weather, this everyday t-shirt comes in an array of attractive colors to choose from. You can select the color that suits your brand requirements and print your company logo and message for increased visibility and impact! 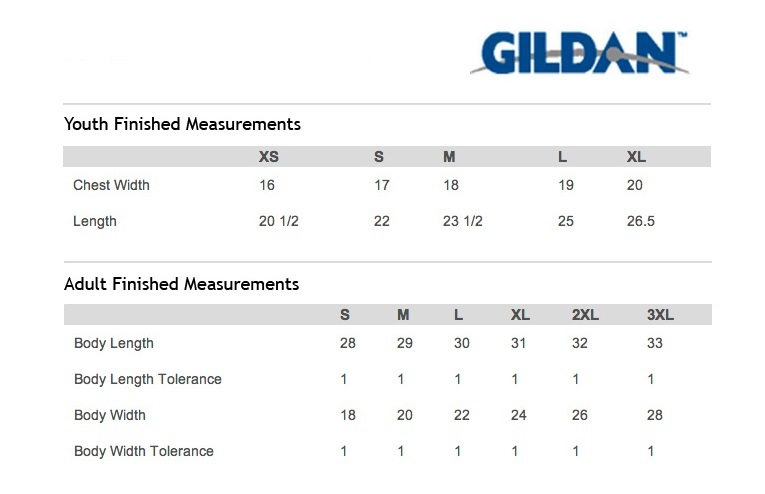 Minimum number of items in each order: 96 items. 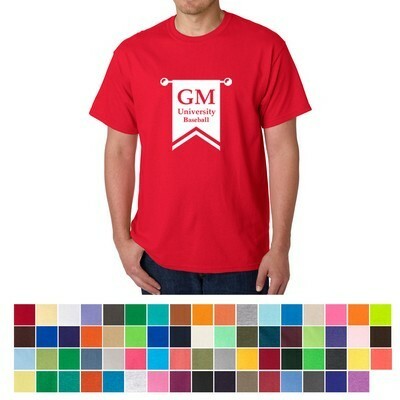 Click on the location(s) where you want your off set printed logo to appear.